We’ll see more at Ubisoft’s press conference. 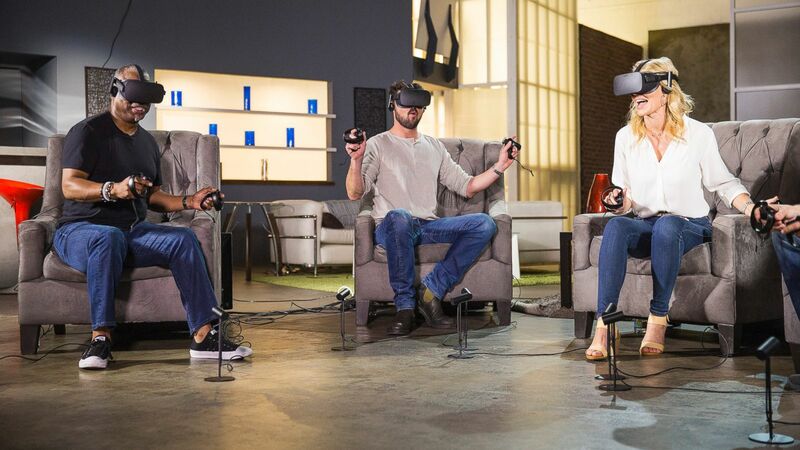 No, that isn’t another godawful stock photo for the Oculus Rift. It’s LeVar Burton, Karl Urban, and Jeri Ryan giving Star Trek: Bridge Crew a whirl. Ubisoft announced the new title on their Twitter account. The actors got together to play the game earlier in the month on the Rift, and their session was recorded for a promo video that we’ll see during Ubisoft’s press conference later today. Star Trek: Bridge Crew is Ubisoft’s four-player VR title, developed by Red Storm Entertainment. There’s only one captain on the starship Aegis, so once you’ve beaten your friends into submission, they can choose from either a tactical, engineering, or helm officer. The Aegis is 90 percent similar to the Enterprise according to Votypka, with missions that are both randomly generated and story-driven. Star Trek: Bridge Crew is slated for a fall release on Oculus Rift, HTC Vive, and PlayStation VR. We’ll keep you updated with more on the title after the unveiling at Ubisoft’s show.